DPAC, Durham Performing Arts Center, offers a challenging and fun work environment. You will have an opportunity to be part of a quality team committed to making DPAC one of the best live entertainment centers in America. 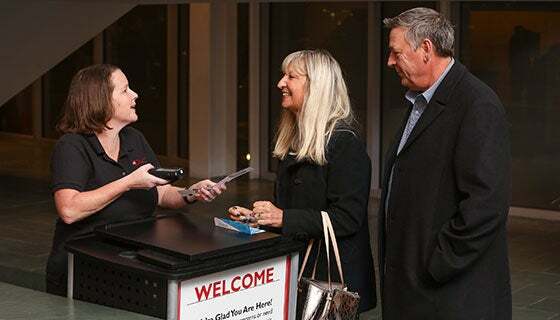 Applicants should be committed to providing top-quality service to DPAC guests and clients and be able to work a flexible schedule which will include some nights, weekends, and holidays. Potential employees must be able to provide proper identification and submit to a background check. All applicants must be legally able to work in the U.S. and have reliable transportation. DPAC is an equal opportunity and affirmative action employer. There are no full-time positions currently open. Full-time positions work normal business hours and may also work events depending on the position. The work environment is exciting, fast-paced, professionally casual and fun. Part-time positions work during events, requiring availability to work evenings, weekends and holidays. We accept applications for part-time positions at all times, however, applications are only reviewed at the time a position opens and the department is hiring. Applications are forwarded to the department manager for review ONLY at the time the department is hiring. Please note that you must be 18 or older to work at DPAC. Interested in a career in live entertainment? DPAC offers wonderful internship experiences to students with opportunities in several departments. For more information on internships, please see our Internship Page.